A one-day mock assessment of the Mountaineering aspects of the Mountaineering and Climbing Instructor syllabus. This course is available on residential or non-residential basis. If you wish to book non-residential, the price is £280 for the day. You will have the option to uncheck the accommodation box during the booking process. Please note that should you book a non-residential place, you will need to provide all of your own food for the day. 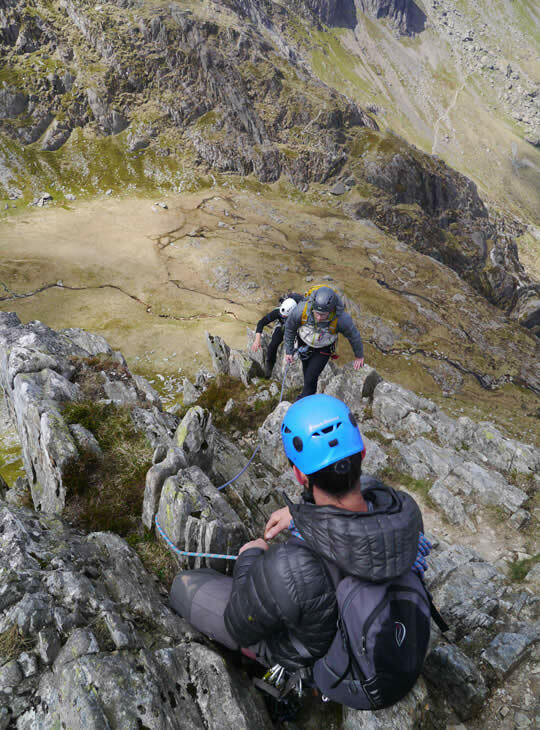 This is an opportunity to be observed and gain feedback on your ability to safeguard two people on graded scrambling terrain. 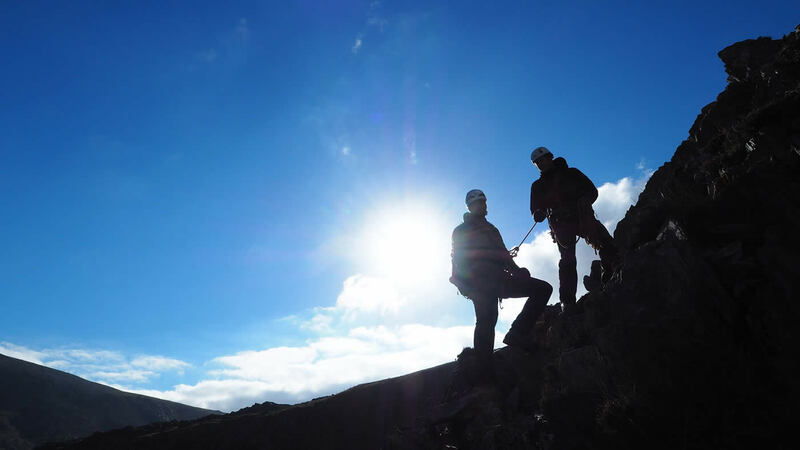 The day will be very like the mountaineering day on a full assessment course, so in addition to gaining valuable feedback you will gain insight into the assessment process and the standard of the award. Your ‘assessor’ for the day will be an experienced and current Mountaineering and Climbing Instructor trainer and assessor. They will give you clear feedback on your performance, discuss any potential improvements and give advice on any additional experience you should seek prior to your assessment. In order to allow time for you to work on any feedback given, it is strongly recommended that you attend this day at least two months before your assessment. You should have attended a Mountaineering and Climbing Instructor training course; have recent personal scrambling experience and be familiar with a range of short roping technique. It is important that you are currently confidently climbing multi-pitch routes at VS 4c. You should have established your own approach to the safe teaching of climbing and be ready to receive feedback on it.